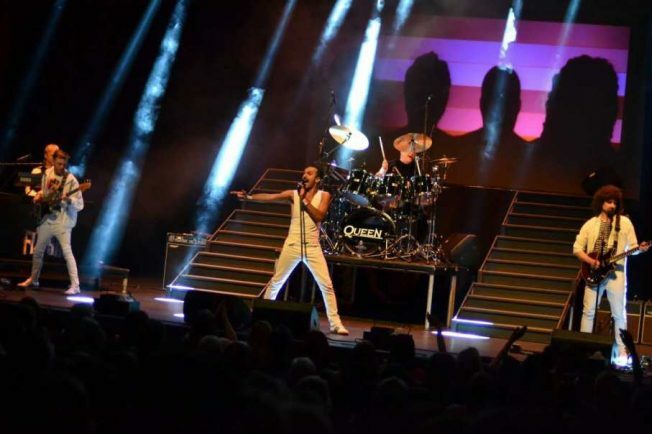 THE Best of Queen, performed by Flash and presented by Sweeney Entertainments, pays homage to one of the most theatrical and dramatic rock bands of all time at the Palace Theatre this Thursday, October 19. Flash have been performing across the world since 2002. Italian born front man, Claudio Desideri plays an uncannily realistic ‘Freddie’ with just the right look and stage persona. From an early age Claudio has trained and developed a vocal range capable of performing these iconic songs, recreating the magic that made Queen’s live shows so very special. Claudio is joined on stage by an enormously talented band including Nathan Mathers who brings all the electric guitar virtuosity required to play a very convincing Brian May. The attention to detail is truly impressive and extends to the use of the same equipment used by Queen on stage in their heyday. For over four decades’ millions of fans have been enjoying the music of Queen. The band released a total of 18 number one albums, 18 number one singles and 10 number one DVDs with estimates of their record sales ranging from 150 million to 300 million records. With a catalogue of timeless hits including Under Pressure, Bohemian Rhapsody and I Want To Break Free, Queen continues to reach out to music lovers of all ages.